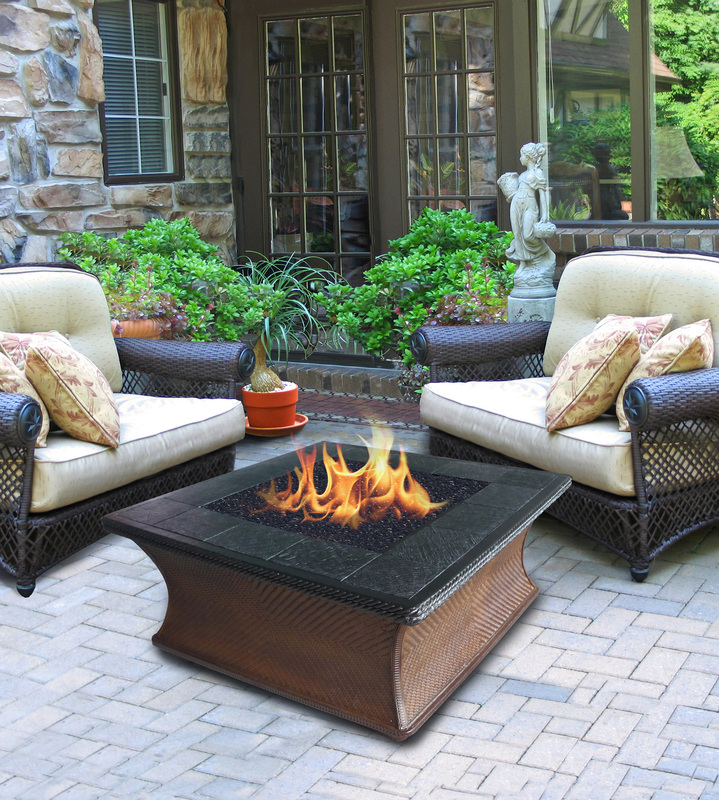 Home firepits have come a long way and the variety of styles now offered is endless. While there are plenty of unique contemporary looks, there are also many timeless pieces that will help turn any outdoor space into a tranquil retreat. Simple structures, smooth lines, and neutral colors make these firepits adaptable to any setting. 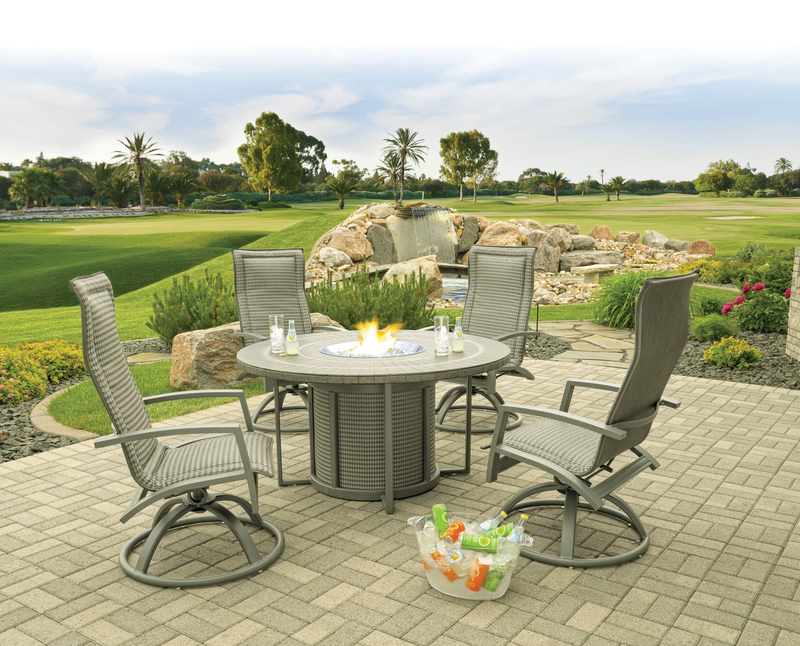 Homecrest’s Universal Firepit brings a blend of materials together to create a tastefully executed combination of faux, aluminum, and sling fabric. The top is offered in faux Granite, Sorrento, Tuscan or Sandstone. A hidden door houses the unsightliness of the tank while allowing easier access for the consumer to replace it. The Universal Firepit is available in Chat, Dining, and Balcony height. Capturing that iconic California experience, the Monterey, from California Outdoor Concepts, is at once a dashing addition to any backyard landscape. One’s first impression is of the dark mahogany footings and the realistic basket weave. The Monterey firepit table has combined aesthetic beauty with practical function, making it perfect for outdoor backyard or patio.